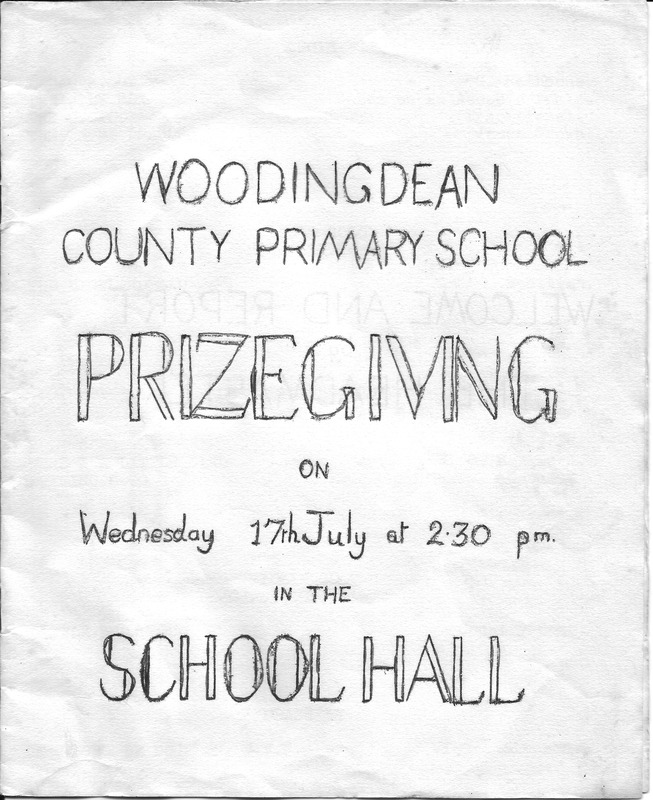 Tucked away at the bottom of one of my boxes of memories I found this 8 page leaflet from Wednesday 17th July 1968, the end of year prizegiving ceremony was in the School Hall at 2.30pm that day. 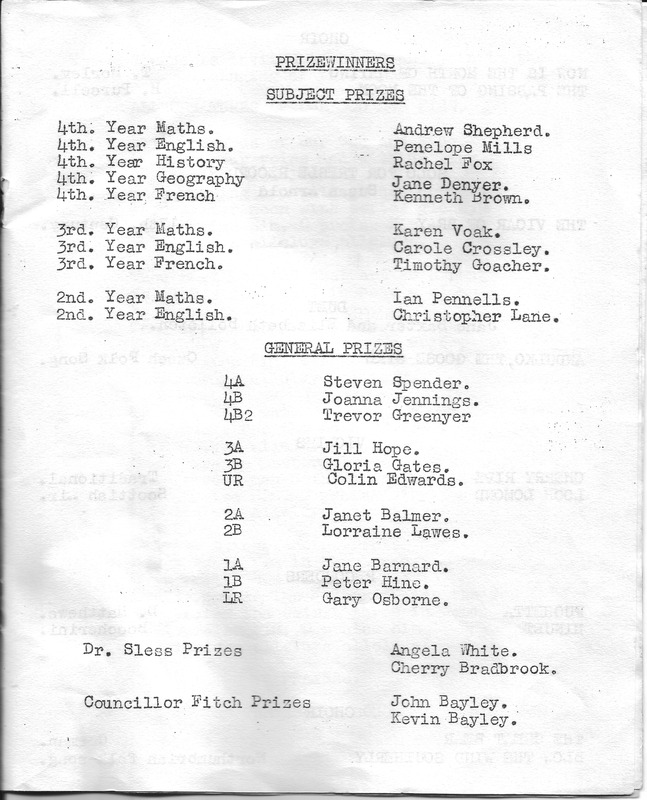 It’s good to look back over the familiar names, I was in the 3rd year and can put faces to almost all the names. 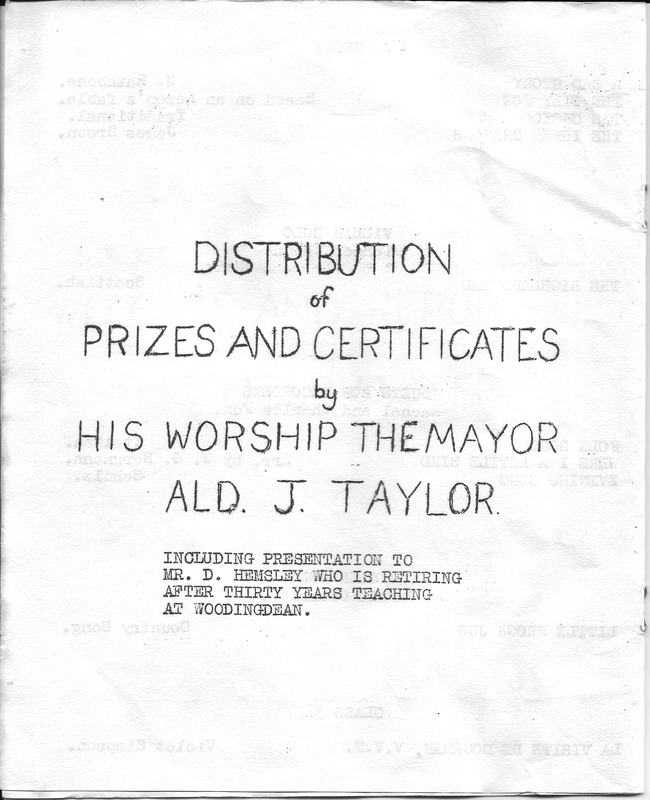 The prizes were handed out by the Mayor, and there was a special presentation to Mr Hemsley who retired that year after 30 years teaching at the school. 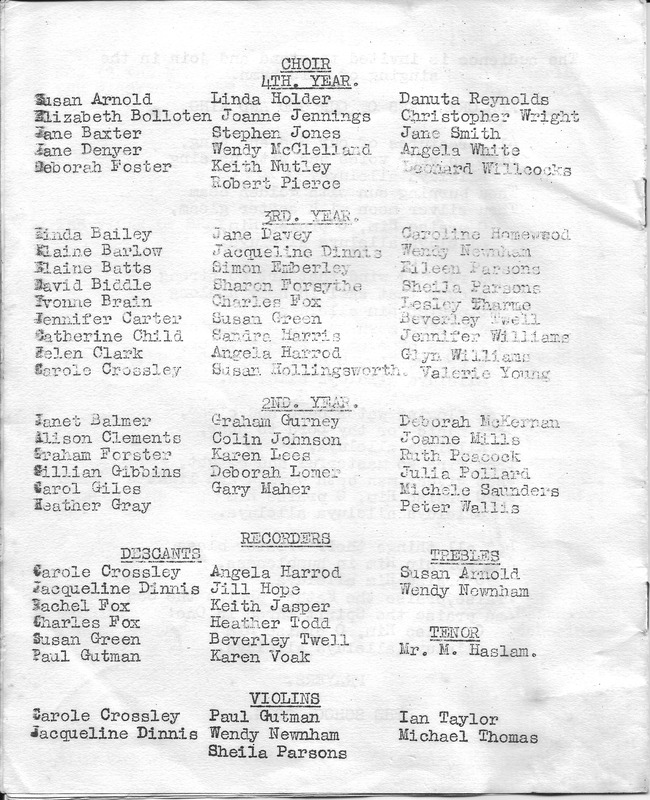 I was very involved in the music lessons at this time, my name is included in the Choir, Violins and Recorders. I gave up the violin when I left the school, which was a great relief to my parents I’m sure! 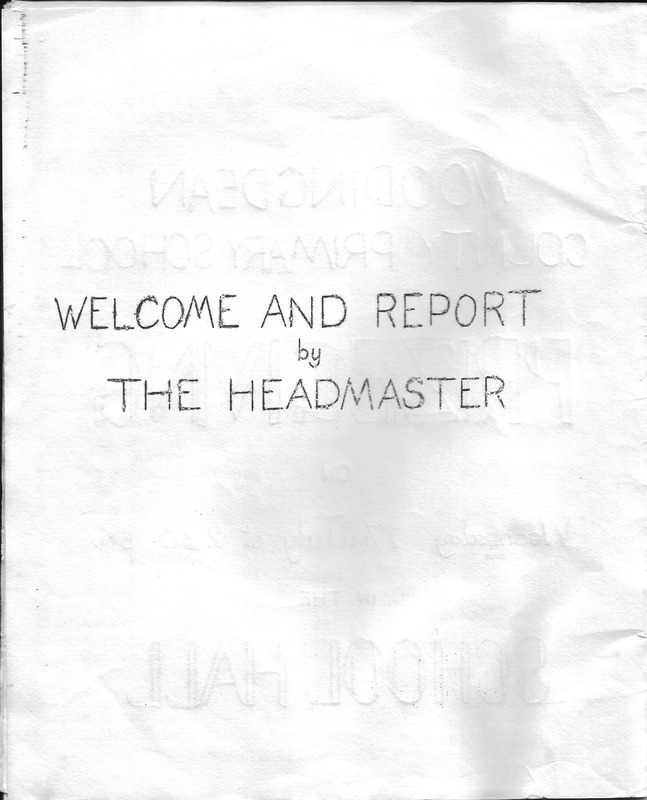 At the end of Page 6 it mentions ‘The School Song’, I have no idea what this was, can anyone help me out? Four songs from the Choir, two violin solos, a recorder duet and an item by 3a. 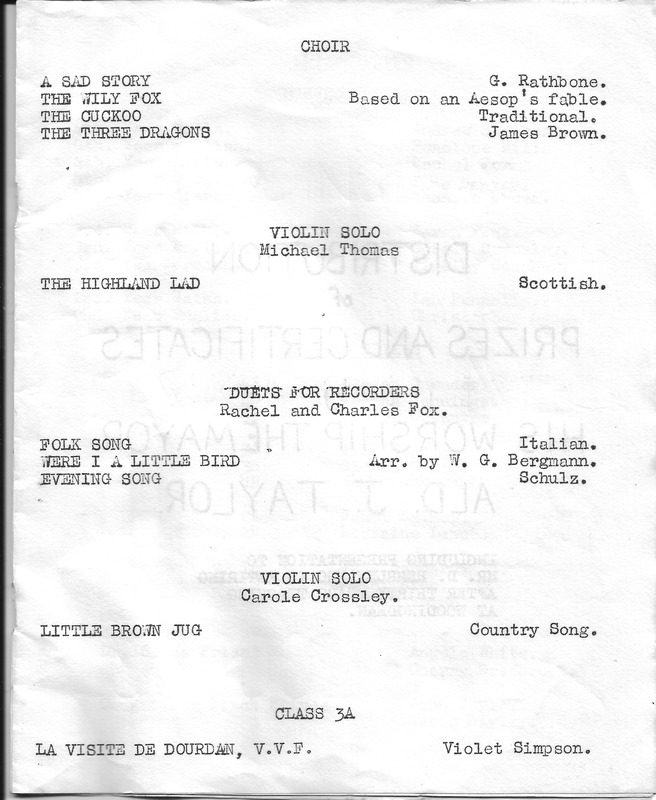 Items performed by the Choir, recorders, violins and a duet. 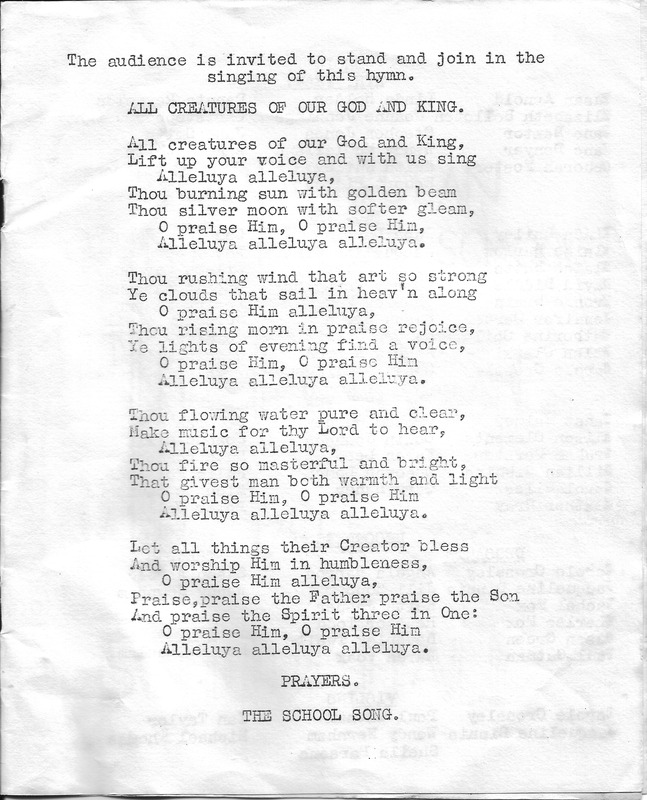 Hymn, prayers and the School song. 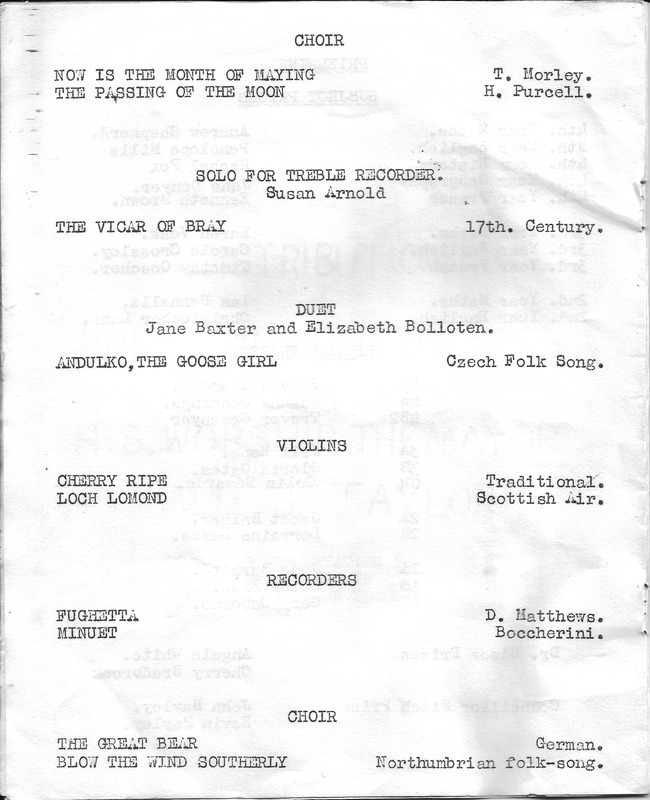 Lists of individuals in the choir, recorder and violin groups. Hi Lindsay, I wish I remembered this, it sounds great! Does anyone else recall this school song?